Does Travel Insurance Cover Hurricanes? Summer is one of the most active seasons for travelers across the U.S., and many of them choose to visit popular destinations in the Caribbean, Central America, and the southeastern region of the U.S. Unfortunately, the summer also marks the beginning of the hurricane season in this part of the world, spanning from June 1st to November 30th. As we’ve seen most recently with Hurricane Michael and its impact on Panama City and Mexico Beach, Florida, the development of a major hurricane can impact not only the residents in the affected areas but also the tourists who may be visiting. Should you have the unfortunate experience of visiting a destination that may be impacted by a hurricane, here are several tips that will help you prepare for it. Many travel professionals recommend travel insurance for every trip, but it should be essential when traveling to any destination that can be affected by the hurricane season. It is important to know that once a hurricane is named, it is no longer considered an unforeseen event, and you therefore may not be covered by a travel insurance policy if it is purchased after the hurricane develops. For example, Hurricane Michael was first named a hurricane on October 8, 2018. 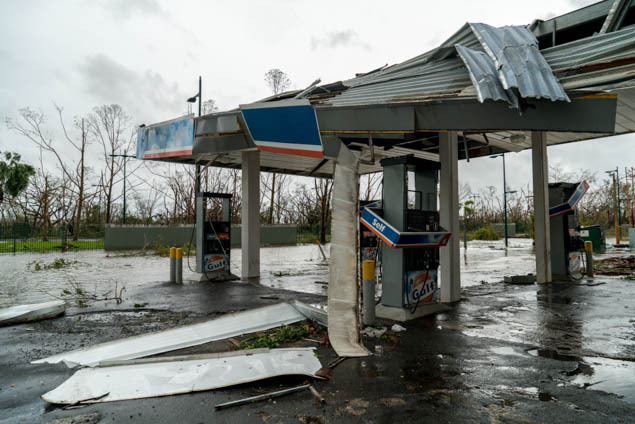 Only travelers who purchased travel insurance prior to October 8, 2018 were covered for claims related to Hurricane Michael. In order to avoid purchasing your travel insurance too late, you should consider purchasing when you first book your trip. Arch RoamRight travel insurance plans come with benefits that may help during hurricane season. You should always read your policy thoroughly before purchasing to know in detail what is covered under these circumstances. The table below shows the Arch RoamRight plan limits for the most commonly claimed benefits during hurricanes or other natural disasters. This list is not meant to show all the benefits of these plans, and you should always refer to your policy for coverage limits, definitions, and exclusions. One of the most common hurricane-related claims is due to the mandatory evacuation of your primary destination. For example, if you were planning a trip to Panama City in Bay County, Florida for the time when Hurricane Michael was set to hit, you would have been eligible for trip cancellation for a certain time period, since that was one of the Florida counties under mandatory evacuation. As expected, flight delays and cancellations are common during major hurricanes. This can not only affect you if you are visiting a destination that is being targeted by the hurricane, but also if your home or location of your connecting flight is in the path. Time triggers for trip delays and missed connection can vary plan to plan, so it is best to review the policy before you purchase. Even if your trip is planned for the time after the hurricane, you still may encounter some travel woes. Your destination residence – hotel, condo, house, etc. – may be deemed uninhabitable due to the damage sustained by the hurricane. If this is the case, you may be eligible for coverage under the trip cancellation benefit. If the hurricane is bearing down on your home location as opposed to your travel destination, you still may be eligible for trip cancellation if your primary residence is deemed uninhabitable as a result of the hurricane. For example, if you live in Mexico Beach, Florida, and had a trip planned for shortly after Hurricane Michael, you may be covered for trip cancellation if you purchased a travel insurance plan early enough and your primary residence is deemed uninhabitable, as defined by your policy. Trip cancellation simply because of the hypothetical threat of a hurricane is likely not covered. This is especially true for unnamed storms and destinations not currently under mandatory evacuation. Likewise, poor weather – such as forecasted rain – is not a covered reason for trip cancellation. It is a fact that there is likely to be damage to a community after a major natural disaster such as a hurricane. However, as long as your destination is habitable and it is not under a mandatory evacuation at the time of your trip, the suboptimal aesthetic of your destination is not a covered reason for cancellation. However, while the reasons listed above are not covered by a standard travel insurance policy, you can still get coverage for them with the optional Cancel for Any Reason upgrade. To be eligible for the Cancel for Any Reason upgrade, you must purchase your travel insurance policy within 21 days of making your initial trip payment. You must also cancel your trip up to 48 hours prior to your departure in order to be eligible for coverage. The Cancel for Any Reason upgrade is only available with select plans and covers up to 75% of the non-refundable trip costs. Thankfully, hurricanes can often be predicted with enough precision and lead-time to prepare for them. Keep an eye on each weather report via news stations, weather apps, or newspapers. It is important to understand the size and strength of the storm since there is a big difference between a tropical storm and a category 5 hurricane. I recommend following the National Hurricane Center on Facebook for live updates. You can also download apps such as Hurricane Pro (paid) to track each weather system development. If you are already traveling and find yourself stuck in the hurricane’s path, be sure to let friends and family know your exact location, the address, and the current conditions there. Let them know it is possible you might be off-the-grid for a while should the telecommunication system collapse. If you have to evacuate to a different location, rather than returning home, keep your family and friends updated as to your new location. It’s also recommended to register in the Smart Traveler Enrollment Program by the U.S. Department of State. It is a free service that allows U.S. citizens traveling or living abroad to receive the latest safety and security information for your destination country, and helps the U.S. Embassy, family, and friends get in touch with you in an emergency. In the event of natural disasters such as hurricanes, local authorities make safety recommendations based on the wealth of information they have received from their experts. If an evacuation is recommended or mandated for either the area in which you are staying or the particular building, you should always listen to the recommendation. There is no reason to stay during a mandatory evacuation. In addition, any medical expenses related to injury or death as a result of ignoring these evacuations will not be covered under your travel insurance policy. Should there be a collapse in the power and communications infrastructure, is highly probable that ATMs will stop working for a while, thus forcing your destination to become a cash economy at least for a few days or weeks. Also, if you rely on electronic forms of payments – such as Apple Pay – remember it is likely that you will have a hard time charging your phone for as long as the power is out. Get enough cash a day or two before the storm for food and water, as well as essential transportation. If your hotel is in a safe area and local authorities have not told you to evacuate, it can be wise to stay in your hotel, but not in your hotel room. Most hotel rooms have large glass sliding doors that are often broken during the storm. Hotels tend to have an emergency plan to shelter all guests in their ballroom or windowless event spaces big enough to accommodate everyone during the critical hours of the storm. Not every hotel is prepared for a hurricane. Some hotels have power generators and water tanks while others do not. Some even have food stored to feed their guests for days. Should your hotel not have, or run out of, means to provide these necessities, you will likely be transferred to another partner hotel (if available), or they will “kick you out” if they do not have any other choice. Yes, they can kick you out. Regarding food and power: it is good to not rely solely on the hotel’s resources should they not be fully prepared. Be self-sustainable by purchasing your own bottles of water, enough non-refrigerated food, and a few flashlights and batteries to last multiple days to a week. Think as if you’re going camping. Also, do you know anyone at your destination that could serve as your backup shelter? Additionally, get a small battery powered radio as it does not consume too much energy, and it’s an excellent means to stay up to date with news during and after the hurricane. Charge your phone, tablet, camera, and laptop before the storm. It’s probable you’ll be without power for days. If possible, also have an external power bank to serve as a backup. It may also be helpful to purchase a portable back-up battery for your cellphone and tablet for when you lose power. Just make sure you also charge that before the storm, as well. Anything can happen during a hurricane, so have a lot of patience. Know that comfort will be the last thing you should expect during and after the storm. Also know that should you be there during the aftermath, you must be flexible with your time and plans as it’s possible you might need to extend (or cut) your trip based on the current situation and recovery efforts.